David had trouble with FYP project and was irregular for church. Xue Jianyue. David’s friend testified that the deceased had trouble with final-year project and had become irregular for church service prior to his death. 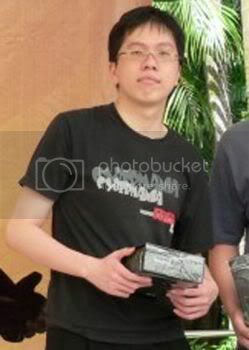 MR Edwin Lesmana, a close friend of David Widjaja, the Nanyang Technological University (NTU) student who had allegedly stabbed a lecturer and later fallen to his death, told the court on Thursday about his last contacts with Widjaja. Lesmana, 22, said that David told him late last year that his final year project (FYP) was ‘troublesome and hard’. The fourth-year student from the School of Computer Engineering also said that Widjaja had attended church during time in NTU and took part in The Navigators, a campus Christian society. One week before Widjaja had died, Lesmana and two other friends visited Widjaja’s hall as they believed he might have problems for he had stopped attending church regularly. When Lesmana found that Widjaja was not in, he called Widjaja to ask if he could visit him next week. Widjaja said “no problem”, and that was the last thing Edwin heard from him. Earlier in the day, forensic scientist Lim Chin Chin presented the crime scene reconstruction report. Lim, from the Forensic Chemistry and Physics Laboratory of the Health Sciences Authority, concluded that David probably died from wounds sustained during the fall, and that the wounds on his right limb are not fatal. Lim also did not exclude the possibility that the multiple wounds on David’s right limb, probably sustained during a struggle, were not self-inflicted. The family of David Widjaja has left Singapore for Indonesia this afternoon. It is not clear whether they will return, but William Wijaja, the deceased’s elder brother might attend the inquiry next week.